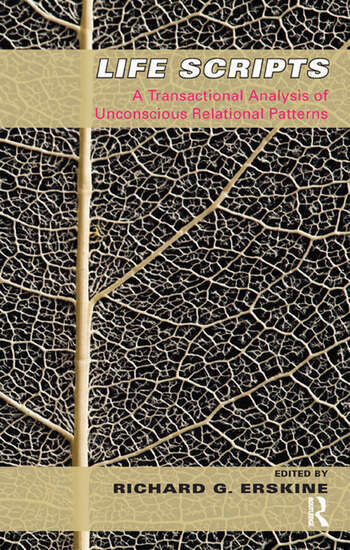 Life Scripts: A Transactional Analysis of Unconscious Relational Patterns is an exciting collection of contemporary writings on Life Script theory and psychotherapeutic methods. Each chapter describes an evolution of Eric Berne's original theory and brings together a stimulating range of international perspectives, theoretical positions, clinical experiences and psychotherapy practices, as well as a psychotherapy story that illustrates the theory. The concept of Life Scripts has frequently been associated with the determinism represented in theoretical scripts, yet, this book offers some new and diverse perspectives. A few contributors address the significance of early childhood experiences in forming a Life Script, while others reflect the perspectives of post-modernism, constructivism, existential philosophy, neuroscience, developmental research, mythology and the importance of narrative.An illustrious group of authors has integrated a broad professional perspective into their understanding of a theory of mind, theories of personality and the methods of psychotherapy. Each chapter provides a unique theoretical perspective; some are provocative and challenge Berne's and others long held notions about Life Scripts.